This special offer runs April 1 – May 31, 2019. Only at your Mercedes-Benz dealer. *Restrictions apply. See participating Mercedes-Benz dealers for complete details. Offer only valid on select OEM,OEA, OEC, OAC, and WIN replacement Bridgestone, Continental, Dunlop, Goodyear, Pirelli, and other select tire brands. Tires must be dealer installed by June 7, 2019 to qualify for the offer. Excludes previous purchases. Only eligible on Mercedes-Benz vehicles. No cash value. Void where prohibited by law. Offer ends May 31, 2019. 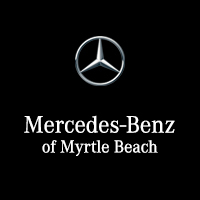 Mercedes-Benz of Myrtle Beach	33.7133755, -78.9028105.